Faced with a public outcry following a false missile alert, Hawaiian officials apologized, saying an automated method of retracting warnings will be introduced and two employees, instead of one, will handle it in the future. 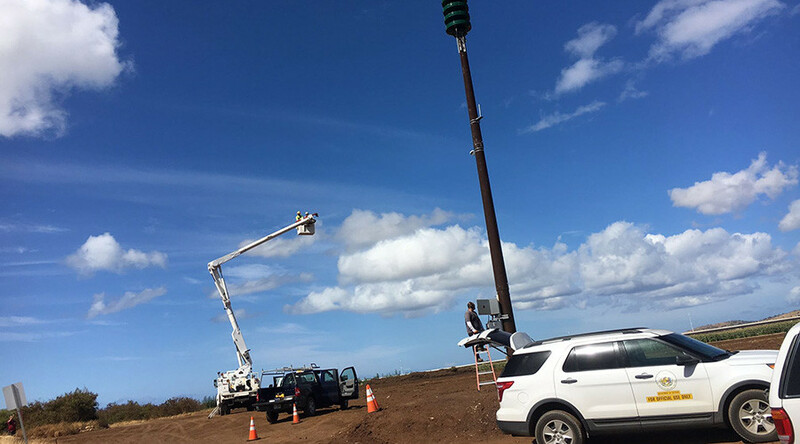 “We did everything that we can, immediately, to ensure that it will never happen again… so a single person will not be able to make an error that triggers another false alarm,” Vern Miyagi, Hawaii’s Emergency Management Agency (HI-EMA) administrator said, as he accepted responsibility for the incident. “I’m sorry for that pain and confusion that many might have experienced,” he added. 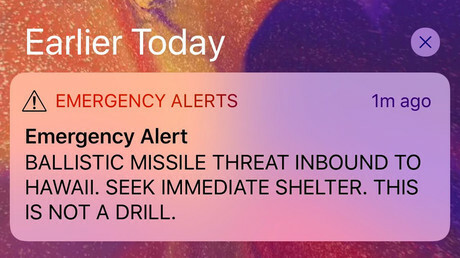 It was a single mouse click by a HI-EMA employee during a routine test that sent the entire state of Hawaii into panic, Miyagi revealed. “The wrong button was pushed on the test, it went into actual event versus a test,” he said. It was not literally a button, but part of a screen the employee erroneously clicked on to activate the alarm, according to Miyagi. As to why it took the agency nearly 40 minutes to inform the public that the alert was bogus, Miyagi said that officials were forced to go through a number of steps as there was no deactivation template in place. “There was no an automated way to send a false alarm cancellation. 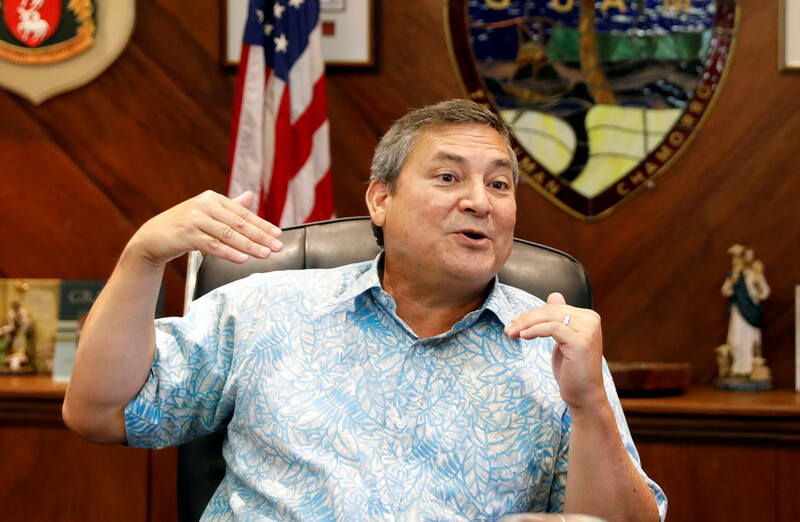 We had to initiate a manual process and that was why it took a while to notify everyone,” Governor David Ige said. In fact, the officials initiated the cancellation procedure just three minutes after the alarm went off, Miyagi said, as he provided a detailed timeline of how the events unfolded. At 8:13am, six minutes after the initial warning, the agency issued a cancellation which stops the messages from going out. At 8:20am, the agency posted the correction on Facebook, which was retweeted by the governor in four minutes. 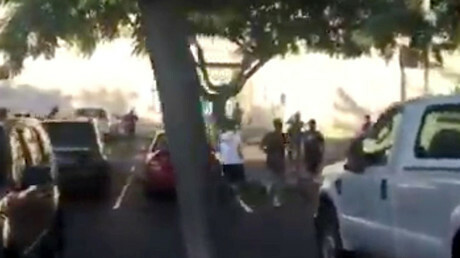 However, it was already 8:45am when distraught Hawaiians finally received “verbal” notifications on their cell phones. Refusing to identify the employee responsible for the mishap, Miyagi said that he was also shaken by what he involuntary caused to happen. “You got to know this guy feels bad. He was not doing this on purpose. It was a mistake on his part. He feels terrible about it and it won’t happen again,” Miyagi said. 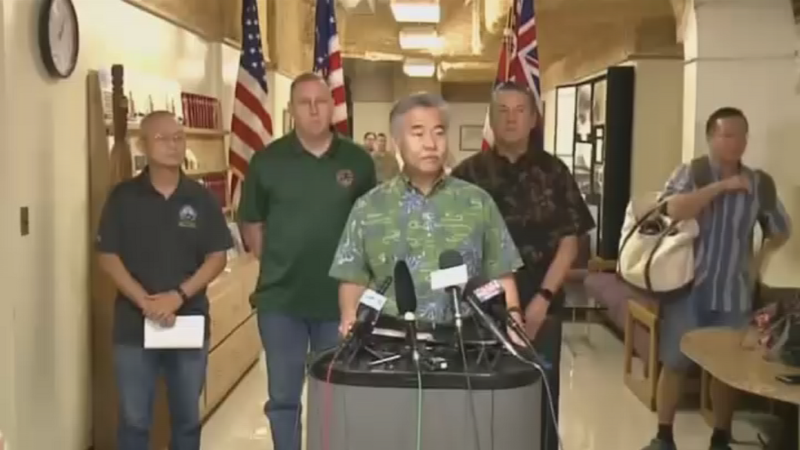 “There’s definitely was no hacking involved, it was a human error,” Governor Ige reiterated. As reporters grilled officials about how could it take the employee three minutes to realize such an obvious mistake, the governor said the emergency staff only became aware of the error when the alert popped up on their phones. — RT (@RT_com) 13 января 2018 г. 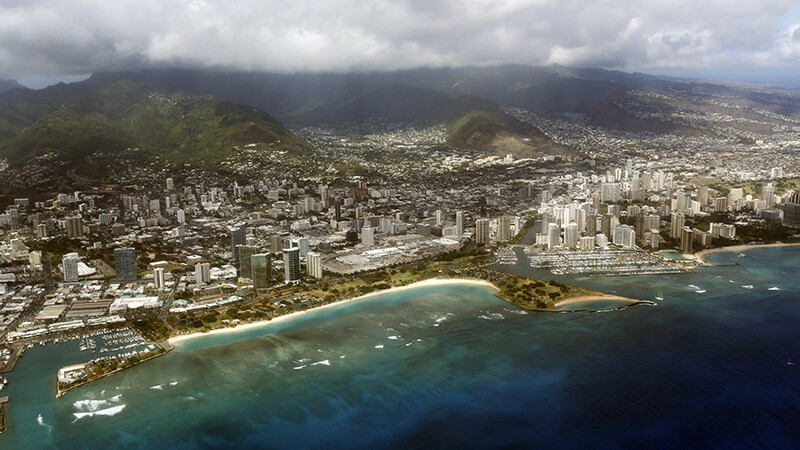 The first to receive the information were Governor Ige and Maj. Gen. Arthur Logan, state adjutant general and HI-EMA director, who both rushed to double-check the threat. 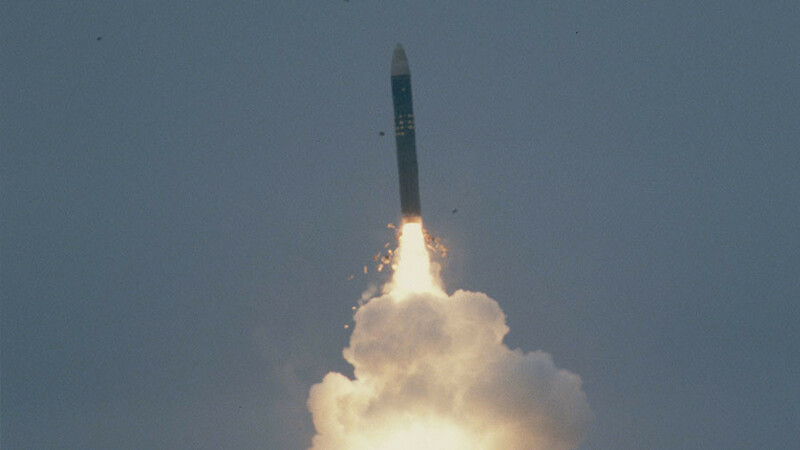 “We are talking only about 20 minutes launch to impact time frame,” Miyagi said, noting that the public would be left with 15 minutes to hide as the military and United States Pacific Command (USPACOM) would need another five minutes to detect the threat, analyze it, and determine where the missile is going. “Based on this information, our warning person has the authority to push the button. They don’t have to call me or the governor… They have the authority to go and push the button,” he said. In order to prevent the mistake from happening again, two people, instead of one, will be required to make the decision over initiating a test or an actual alarm, according to Miyagi. In another change of protocol, it will be possible from now on to withdraw the alarm warning automatically. “It will be a template within the screen and they can just push it,” Miyagi said. 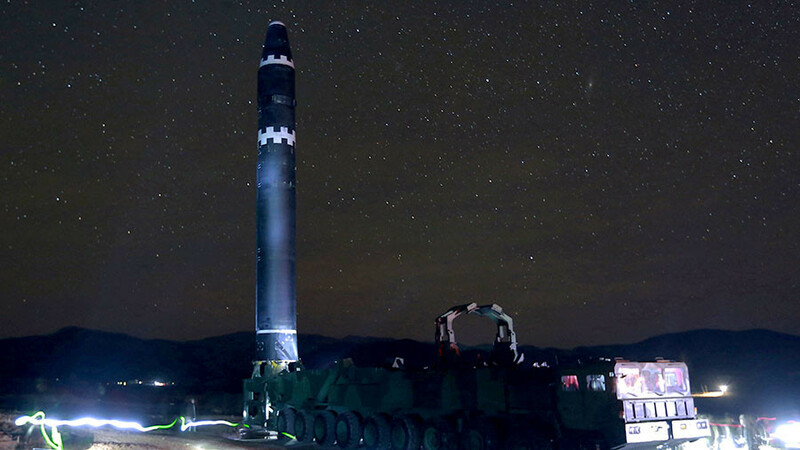 Until all the changes are introduced, tests of the ballistic missile preparation checklist, which were performed several times a day since November 1, have been put on hold by the authorities. — Support 45 (@WeSupport45) 14 января 2018 г. The notification system will also have to be improved, so that all mayors and officials, as well as the media, receive the warnings as soon as possible. The authorities are now investigating reports that some of the carriers failed to deliver the initial alert. — AvenueofIntrigue 🔹 (@avenueintrigue) 13 января 2018 г.